Flights at Brussels Airport are expected to be "severely impacted" by a general stike in Belgium next Wednesday (13 February), the airport has warned. 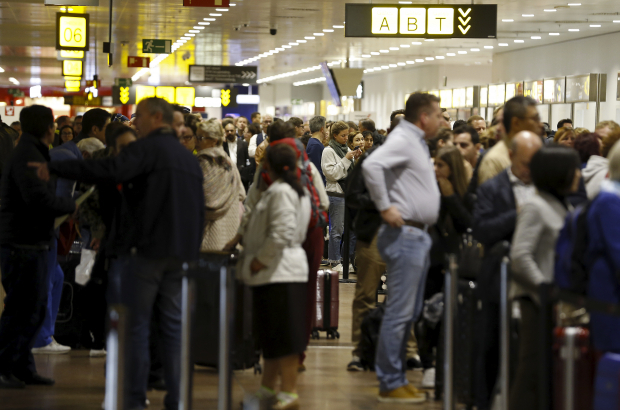 Passengers should rebook their flight for another day of the week where possible, Brussels Airport said in a statement on Thursday. The airport expects "flight cancellations, heavy delays, flights diverted to and from other airports and problems with baggage delivery". Public transport to and from the airport will also be severely disrupted. Further information on the impact that Wednesday's strike will have on Stib, SNCB, TEC and De Lijn services should be clearer at the start of next week. If you have to fly on Wednesday, Brussels Airport recommends travelling with hand luggage only - and to leave for the airport well ahead of your scheduled departure time.